What Is A Soundman? And What Makes A GREAT Soundman? How do you know you are working with a great soundman? If you are wondering what a soundman is, well, I will let you know what I think: you sometimes forget he is there. He becomes a part of the experience. He is in sync with the sound. He does his work so efficiently, so effortlessly, so humbly, that you, the musician, are free. Free to focus on your art, your creation. Free to release yourself into the divine experience of music unfolding within and around you. Free to feel effortless yourself, lifted on the wings of great sound, which supports and frees you from your rational mind, into the chambers of a song, where prayer and beauty become one. 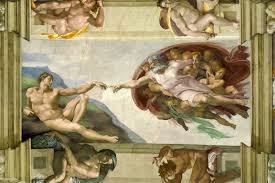 In Michelangelo’s “The Creation of Adam”, a figurative hand reaches down from heaven, touching and creating the first Man. For an artist, engaged in the creation of sounds, the soundman is the missing link between the skill and preparation, and the God-gifted talents of her craft, and the audience that has come to hear her performance. A great soundman can give a mediocre musician a padding of aesthetic quality that raises her up to sound good. And for a great musician, the sound can bring the magic. Conversely, an inadequate soundman can make even a great musician sound just OK. And for those of us musicians often doomed to do our own sound, “where is the soundman” starts to sound like a prayer. Or mantra. 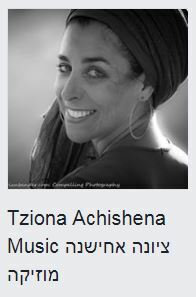 As a musician who has travelled for the last 17 years or so across Israel (and North America, with a few far-flung gigs in locations like Moscow and The Ukraine) singing mostly small to medium sized gigs, I have dealt with all manner of sound conditions. The worst were the times I had to arrive to a gig and learn the sound system myself on the spot; this meant doing my own sound while the clocked ticked and sometimes, the audience was already entering. Talk about stress. Some soundboards are simple and self-explanatory; sometimes it’s a mess of wires that has my heart racing. Eventually, I got my own equipment, which meant I came to the gig knowing how to use it; but I had to carry it myself, making me a true shlepper. And on the rare occasions where the equipment is good and there is an actual soundman, I feel like I have been kissed by heaven. The audience responds differently. Their hearts are more open. They can hear all the nuances of my voice, and I have a full dynamic range. I am not yelling to be heard, but able to move from the gentlest soprano to a belting the blues, with the unique combination of overtones that make up my musical fingerprint, intact. More emotion comes through. And of course, being able to hear myself provides its own inspiration. Imagine a painter, facing a canvas with a blindfold on. When I’m fighting the system, trying to be heard, I am groping in the dark, somehow is tasked to give over something beautiful, a part of my soul, praying for the light. As a religious Jewish singer, I have often had to deal with the “absentee” soundman. He’s like the father that pays child support but won’t lend a hand. Because some interpretations of Jewish law limit a man listening to women’s singing voices, these semi-professionals use the excuse of their piety to justify doing a half-baked job at sound: setting us the system so that everything works, but then vacating the venue, often leaving us musicians to the imbalances and feedback that a soundman is meant to prevent. GRRRRRR! I should write a mournful, country-blues song about wishing I were an octopus, with enough arms to play my guitar, run the soundboard, sing, signal other musicians, and keep track of the setlist, all at the same time. Compromising on sound quality to say “yes” to a gig is something I’ve had to do too many times. I don’t want to sound like a kvetch. I’m truly grateful for the hundreds of opportunities I have had to sing; but this is an article about the soundman. All these experiences have taught me to value a good soundman with all my heart and soul. So; let’s focus on the positive. Let’s talk about how good it can be. Shahar Kaufman of Onyx Studio, Rosh Pina, Israel! as well as my current project. When I am working with Shahar, there is a synchronicity. Oftentimes, I don’t even have to speak. 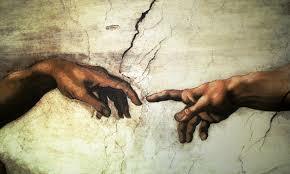 He seems to know what I want, making whatever change or addition I need, by tapping into some “space” beyond words. This space is where knowledge and skill are transformed to art, and faith and trust in a Higher Power begin to inform the revelation of sound. Perhaps it is a simple as connecting to what is “right” or “good” for a piece of music; when we are both tapped into that place, there is simply an unfolding, and we are part of it. When I do have an idea or vision that needs to be spoken, Shahar always listens respectfully and tries to see if it is possible. He always encourages but knows how to say no sometimes, if it is for the good of the project. He always puts the music first. Shahar is also a musician. He lives in the realm of music and has the humility to let the music guide the way. Like a sound midwife, he does what is needed to help the birth happen, trusting the wisdom of the process. A producer, he is focused on the strength that each person brings to the project, making sure that everyone has a chance to shine, and staying open to surprises and the unexpected. 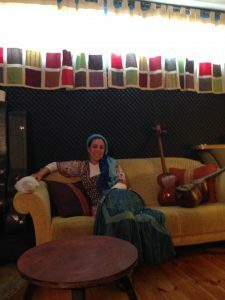 Shahar taught me a deep sound concept, which we used in recording my current work-in-process, “Meet You There”: (songs based on the poetry of Rumi). He believes that the standard musical tuning, based on the frequency of a 440 Hz, has a strained effect on the listener…kind of like the strings of the world are too tight. He prefers a gentler tuning, at 432 Hz. There is a running debate on the subject…you can take the following blind test and see what you prefer. As a Hebrew speaker, Shahar was able to explain this idea in relation to the Hebrew language. Each letter of the Hebrew alphabet can be assigned a number. When these numbers are added up, the total number is known as “gematria”, and can be used to find clues about the hidden connections between different words. If you add up the letters of the Hebrew word for dead, the result is 440. On the other hand, 32 is the gematria of “heart”. 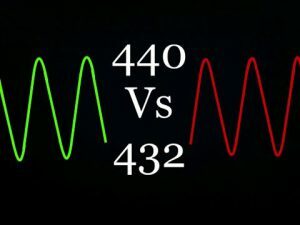 Many believe that the 432 tuning has a deeper and more resonant influence on the heart. Ultimately this gives us a clue into what I think makes a great soundman. King Solomon asked God for the blessing of a “listening heart”. A great soundman isn’t just a technical expert. He lets his emotions influence his mind. He knows how to listen with his heart to the inner movement of sound. And that goes for the female soundman-it as well.